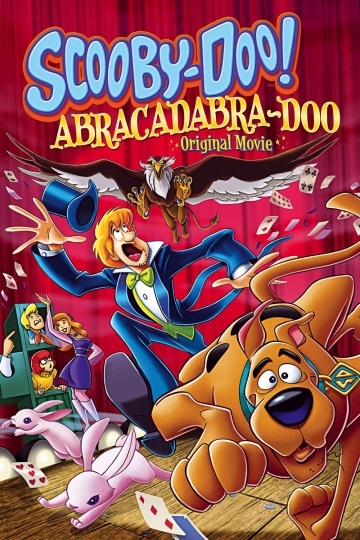 Scooby and the gang travel to O'Flannery Castle - Home of Whirlen Merlin's Academy of Magic to visit Velma's sister Madelyn, only to find that the castle is under attack by a legendary Gryphon. The gang takes the case, and it'll take more than a creepy grounds keeper, a suspicious ice cream mogul and ghostly banshee to keep them from pulling it out of the hat. Scooby-Doo! Abracadabra-Doo is currently available to watch and stream, buy on demand at Amazon, Vudu, Google Play, iTunes, YouTube VOD online.